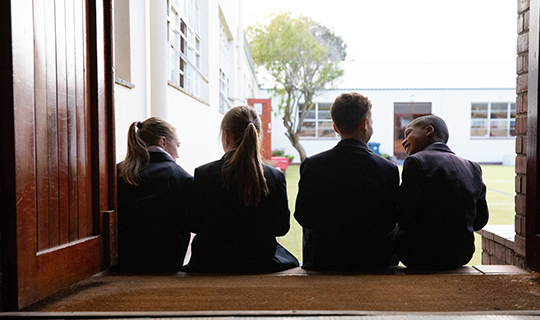 In terms of section 5(5) of the South African Schools Act of 1996, the governing body of a public school must determine the admission policy of that school. Kirstenhof Primary is a community school and as such is there to serve the community and provide quality education for the families in the community. The Constitution of the Republic of South Africa (Act 108/ 1996) The National Education Policy Act and any applicable policies determined in terms of this Act (Act 27/1996) The South African Schools’ Act (Act 84/1996) and subsequent amendments The Western Cape School Provincial School Education Act (Act 12/1997) The Promotion of Administrative Justice Act (Act 3/2000). No pupil will be refused admission to the school on grounds of race, culture, religious belief or financial circumstance. Any pupil admitted to the school is admitted to the full designated school programme and will not be suspended from classes, denied access to cultural, sporting or social activities which are part of the designated school programme on the grounds of an inability by his parents to meet the required school fees. The school does not have facilities for education of learners with special needs. Any false declaration on the application form will render the application null and void. Applications will not be processed if documentation is incomplete. The onus is on the parent to ensure that all documentation has been forwarded to the school, however we will endeavour to assist where we can. Learners residing permanently with their parents/legal guardians/guardians nominated by official bodies and whose closest Primary School is Kirstenhof by road, will be considered above all others for admission. Appropriate proof of residence will be required, e.g. rates account or certified copy of lease agreement (in the case of renting of property). Parents who work permanently within a radius of one kilometre of the school. Written confirmation of place of employment from the employer will be required. Children of employees of the school. While siblings of learners, for whom the school is not the closest, will be considered strongly, they will not automatically be considered for admission. When applying for Grade 1, preference will be given to children attending the KPS Grade R.
Learners, for whom the school is not the closest, will be considered once those who qualify in terms of the above have been accommodated. The SGB acknowledges the imbalances associated with the history of South Africa, as well as the need for gender balance in the school. These factors are taken into account when placing children at KPS. No learner shall be admitted to the school if the learner is two years older than the age appropriate norm for the grade. Preference will be given to a learner entering Grade 1 who turns seven in the first year of school and to learners in other grades, who are age appropriate for the grade. A learner from outside the borders of R.S.A. will be considered in terms of the above, but will be assessed for appropriate grade placement after acceptance. Documentation from Home Affairs, proving immigration status, must accompany the application. The school applies a maximum pupil/teacher ratio of 30:1 for Intersen Phase (Grades 4-7) and 30:1 for Foundation Phase (Grades 1-3) in terms of the physical classroom capacity. Pre-Primary is 25:1. The availability of ablution facilities, toilets and recreational area necessary for the social, physical, medical and emotional health and well-being of the learners. Admittance from a pre-school will be done in consultation with the pre-school educator.